WE’RE COMING TO THE PACIFIC NORTHWEST NEXT SUMMER! The Sketchbook Project’s annual tour takes us all over the United States and Canada. Next year, our official tour schedule is bringing us to Portland, Vancouver, and Seattle!Create a book that will visit the Pacific NW next summer on The Sketchbook Project 2014 Tour. Just signup for a book in the Pacific NW region by November 1st and you’re on your way! The deadline to mail in your completed book isn’t until January 15th, 2014, so you still have plenty of time to create your work.Go to www.sketchbookproject.com/participate for details. Get your official sketchbook and get started! 32 pages, saddle stitch bound and hand-crafted in Portland, OR on 100% recycled paper 🙂✔ Your book’s tour! Your book will join our permanent collection in Brooklyn, NY. Your book can be shared online and in person! 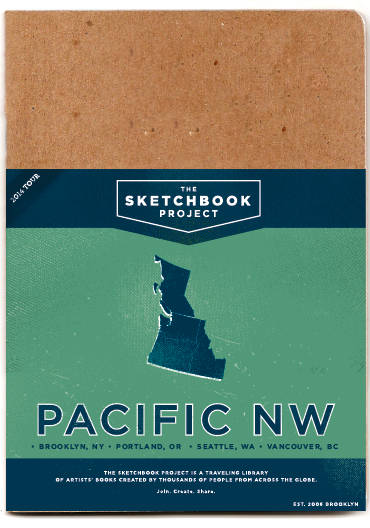 Join The Sketchbook Project 2014, Pacific NW! Are you reading Ploughshares? If not, you should be!